You can restore a Nutanix AHV VM from the backup to Microsoft Azure. 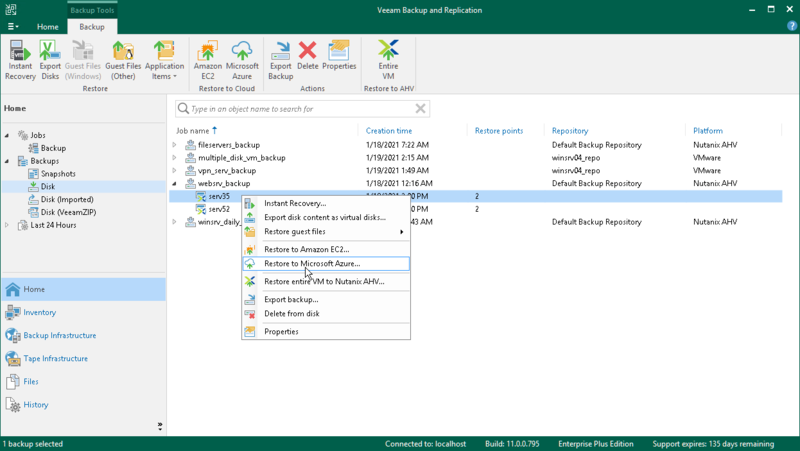 In the inventory pane, under Backups select Disk. In the working area, expand the necessary backup node, right-click the VM that you want to restore, select Restore to Microsoft Azure and follow the steps of the Restore to Azure wizard. For details, see Restore to Microsoft Azure.